Update – Nov 10th, 2015: I’ve recently posted quite a bit more details on where LIMITS stands. I’d highly encourage you to check it out, via this link. Ok, I wasn’t planning on doing a post on the LIMITS power meter until I actually had some first-hand time with the unit. But given I’ve been swamped with e-mails/tweets/signal flares about the unit, I’m going to put together the briefest of brief posts. Well, at least as brief as you’ll ever see my posts anyway. 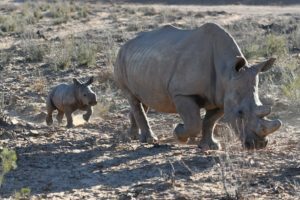 For those not familiar, LIMITS kicked off a round of publicity this past weekend ahead of their crowd-funding launch this past Monday. 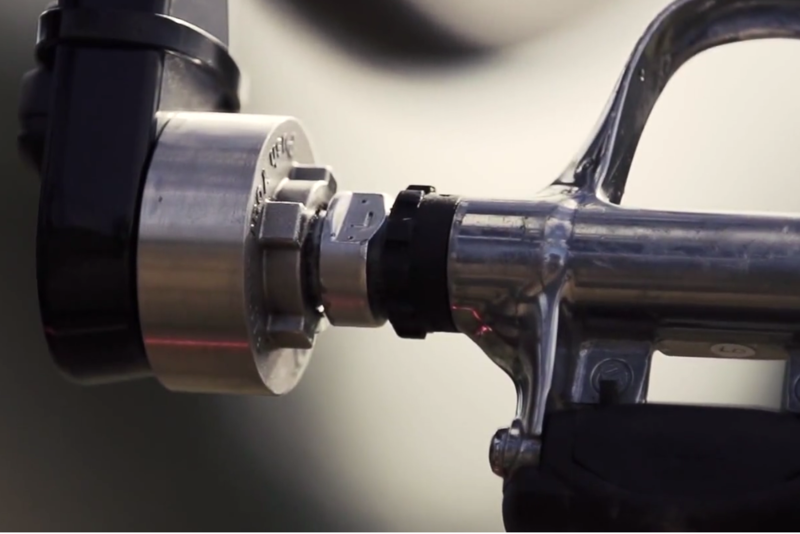 Their product is a $250USD power meter that attaches in between the pedal and the crank arm. This will measure your power on your left side (à la Stages Power), and then double that power. It will transmit ANT+ initially, and then Bluetooth Smart support down the road. Also down the road are plans for releasing a dual capable left and right version. Now, there are lots of thoughts about the unit from a technical standpoint. For example, how it might impact what’s called your ‘Q-Factor’, which is basically how far apart your left and right pedals are (spacing). Or, how accurately the product will measure power. Or has anyone actually ridden it and where is an example data file? Or, whether or not it’ll solve world hunger, or even hunger after a long ride. I’m actually not as concerned with any of those aspects right now, to be perfectly honest. There are more pressing matters as far as I’m concerned. Most notably…their timelines. As you can see, that’s really darn aggressive. To put this in perspective – on average, it takes most new power meter companies between 2-3 years to cover the gap that they’re looking to do in about 6-7 months. Roughly. And, these companies that have taken this amount of time have done so in some cases with enormous resources behind them. For example there’s nobody that has likely thrown more money at power meter development in such a short timespan than Garmin has, preparing their Vector units. At the other more LIMITS-like company scale, is Brim Brothers with their Zone power meter. As CEO Barry Redmond from Brim Brothers will openly tell you, getting 95% of the way there on building a power meter is easy. It’s the last 5% that kills you. In his case, he initially told me that some 2 years ago when he thought he was nearing the finish line. Now we fast forward two years and they just announced another 6+ month delay a few weeks back. And that’s after they had started their production runs last fall and rolled out to a large external test group (as you’ll remember from my test of a unit then). My point being – making power meters is hard. Really damn hard. Remember the PowerTap pedal based and chainring based power meters that were just announced last month? I first saw early stage units almost two years ago on that. And again, that’s from a company that unequivocally knows what they’re doing and have been doing it well for over 15 years. The details PowerTap showed me then were roughly at the same stage that LIMITS is now illustrating on their site today, for delivery just 7 months from now. Which again, doesn’t take away from LIMITS – but rather sets expectations. To give them credit, I think it’s a cool idea in an interesting location. And, I really want them to succeed – I want more consumer choice, and I want broader availability of technologies to help people train and race. I also actually don’t think their offering price is a concern. Their cost of goods for those parts are trivial, just like they are for 4iiii’s, Ashton Instruments, and others coming into the game. Anyone thinking that an accurate power meter must cost $1,000+ or more, is only fooling themselves. This isn’t 2011 or even 2014 anymore. Prices will continue to plummet. The future of sub-$300 power meters is hardly more than 12-18 months away. And kicker is it’ll largely be the same players you know and love today, with the same fundamental technologies and even the same products. Just cheaper. Fast forward another 12-18 months and you’re likely looking at sub-$200 units (probably less actually based on what I’m hearing). Again, the cost of goods is so cheap on many of these newer units that they aren’t too much different than that of a standard running footpod. Right now the key aspect that’s driving up power meter costs is that the market will pay it. Additionally, in some cases the design of the units require higher levels of manufacturing support (i.e. 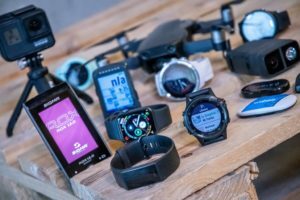 Garmin Vector, SRM, Quarq, etc…). But even in many of those products the prices are largely artificial until a cheaper unit proves itself and moves the floor down again – which will likely happen again this fall, just like we saw last week. As for backing the LIMITS power meter? I personally have actually backed it – but not because I think I’ll get it anytime soon. But rather mostly out of curiosity. I’d expect they’ll deliver units around Interbike 2016 (Fall 2016), with maybe a sprinkling of units prior to that in the summer of 2016. 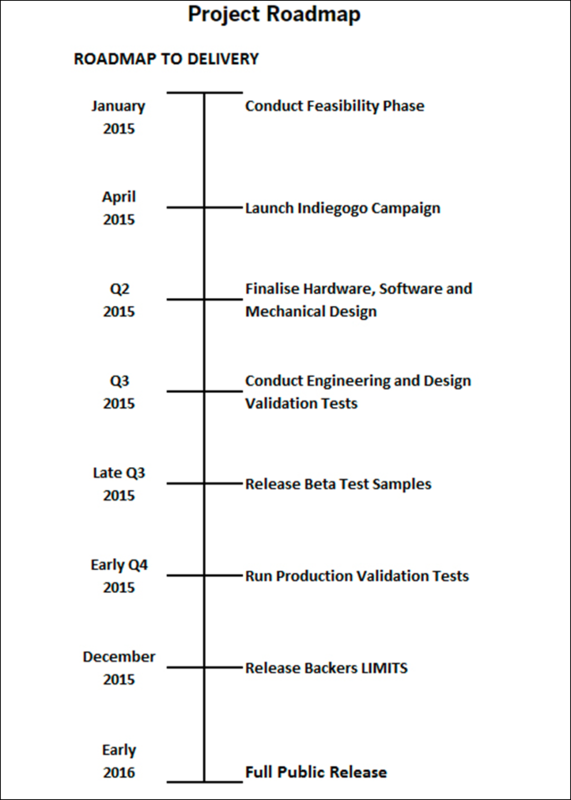 Fwiw, my track record on predicting crowd-funding projects timelines is actually pretty strong (that post should be required reading for anybody looking to back this project). In other words, don’t buy it for training next season, but buy it because…well, I don’t know why you’d buy something in this industry basically two years out. With that – my sorta-brief thoughts are complete. Enjoy! Note: All imagery in this post from within their YouTube video. I just wanted to provide an update after I spent some time on the phone on Thursday with the LIMITS team, discussing their plans and where they stand. While it was a very constructive conversation, there wasn’t anything that was said that changed my mind on the timeline aspect. In fact, I’d say it actually went the other way. For example, I was looking for some element of proof that the company had prototypes with riders on the units and transmitting power wirelessly. That’d be about where they need to be in order to make any end of year dates. Unfortunately, they are far from that. At this point they have no prototype that can transmit wirelessly, nor have any teams or individual riders taken LIMITS for a ride (because it doesn’t exist yet). Their current unit transmits the torque (but not yet cadence). This is done via wired transmission though, and not yet via ANT+ (no ANT+ chipset has been selected). Most importantly though, they have not compared that figure to any existing power meter on the market – at this point. I discussed my concerns with them regarding their timelines. They were extremely hesitant to give any additional details on when a ‘beta’ unit would be available to either their team or other individuals could put it on a bike and start gathering data (be it the company themselves or a 3rd party). After much discussion around the topic they stated likely by the end of June such a unit might be available. I had hopes that they’d be further along, such as actually having a working prototype as was implied in their crowd funding video. Unfortunately, everything shown in the video was merely mockup. Once they do get to production, they’re planning for most of the metal/machined parts to be done in Asia, with the PCB (electronics) also done in Asia. However, assembly may take place closer to home (Scotland), but that’s still to be finalized. Right now they’re looking at using SR44 coin cell batteries (the same as the Verve Infocrank power meter uses). The LIMITS power meter will also contain temperature sensors for temperature compensation. As for funding, like most entities that launch on crowd funded sites these days they have the funding they already need – some from private equity investors and a fair chunk from the Scottish government via incubator funding. Also like most other entities they saw Indiegogo as primarily a marketing engine to draw attention (which obviously worked quite well). I asked why Indiegogo over Kickstarter and they answered that had they done it all over again they’d probably have selected Kickstarter, mainly due to the wider appeal/popularity of Kickstarter over Indiegogo (and that they would have likely seen more attention). We noted that we’d catch up again once they had some form of prototype unit that perhaps was demonstrable. Until that point, it’s largely in the realm of theory. » LIMITS Power Meter: Really cool or really fake? So this will probably with read around 1 year from now instead of December? The price of a unit is not driven by the cost of its components. It is driven by development cost. 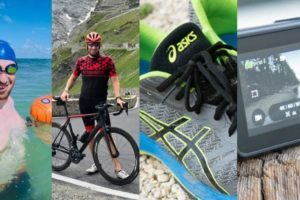 When a company like Garmin or PowerTap put buckets of money into a new design, they need to recup this investment over a certain period of time. The ratio between component cost and company structural cost on a new item is very often around 1 to 7. I’m kind of hoping the Vectors drop in price, I have an unreasonable dislike of the crank based units and the hub ones and something about pedal based sensors appeals to me. But that’s just at the beginning. Of course the most part of the price tag goes to pay for development (engineers, setting up manufacturing, doing things horribly wrong and learning from mistakes, manufacturing again, testing teams, and the list goes on and on…). Power meter market is likely near to be a mature market, so the prices will keep lowering down. Mainly because the initial costs are already covered (you don’t have to create an algorithm every time you make a new device), but also because the competition is tough. We are seeing so many new companies entering this market because of it. I’m in the same boat with Ray. In something like 12-18 months is going to be easy to find good power meters for under 300€ (errrrr $300…), and not only on promises on crowd funding campaigns, but from big names in every store. Training with power is finally here to stay, and a wider audience is starting to look at them. 3 years ago it was only for pros or semi-pros. Today is for the very good amateurs, but tomorrow it will be for the starting novice. 5 years from now and it will come in your new bike. For this to happen, we need to start seeing how things level up. The price going down and the sales going up. Although the price is lower, the margin is higher so the companies can lower the price tag (they already recovered the trunks full of money they invested… or most of them). And measuring power is something that is not going to change too much, so the large amount of money needed for invested is already on the table. Of course there is recouping of costs, that’s obvious. But, as the price drops indicate – it’s market pressures that drives costs down. Otherwise all of the major players would have been more than happy to have prices be 20% higher than they were two months ago. If you look at Garmin’s 10-K filing, one thing you’ll notice is the profit margin for the Fitness division has been dropping the last 3 years (to around 30%), even while sales go up. Still their R&D expenses in 2014 were only 6.8% of sales. They spent more on advertising than R&D. A lot more in 2014. Bluetooth HRM straps are now $30 bucks. Yeah there is some hardware but at the end of the day it’s a sensor and a radio. It’s going to drop to commodity pricing, unless they innovate by collecting new metrics. What metrics? IMHO we’re starting to edge to diminishing returns on that front. Garmin added run dynamics awhile back. Meh. runScribe wants to tell me the angle of my footstrike. Meh. Left/right power interesting for post ride analysis[*], but do you really want a live stream of more metrics twittering at you to push 3.2% harder on your left side? Until we get to true bio sensors (lactate/SPO2). So yeah, $30 power meters eventually. My 0.02. Cheers. [*] A SportTracks user posted on our forum recently about analyzing their left/right power at different cadences. Ok, that was really cool. I’m still not sure how he adjusted his training after seeing this data. Right. A metric that a reasonable person can’t do anything about in a reasonable amount of time ends up being useless. Around 1cm asymmetric Q-factor gain? They are a little late for April fools. asymmetric? they claim to give a dummy spacer for the other pedal. Q factor increase is a nono for anyone hoping to increase their power. I’d hope the market would have seen this by now and started to develop narrower BB specifications. bah. a 24 person sample size and a short term test means nothing to me. There is no data to say that after a certain amount of adaptation to the increased q that power wouldn’t go up. nor is there any information on various hip widths. Somebody even markets a solution to increase to q factor to relieve knee pain. I backed it but am in the midst of buyers remorse. Lets wait and see but as you say, December seems near impossible. Not overly concerned about when it’s delivered (I’m in no major rush, I just like the idea). Q factor issue was a concern for me, but my pedals have particularly long axles anyway, so I’m hoping I can swap them out for shorter ones. As a project manager and avid cyclist this is an aggressive timeline and i can’t see them making there original deadline. 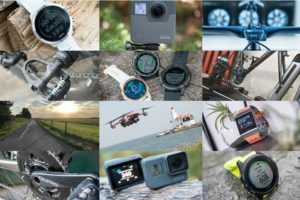 If they deliver in late 2016 then there will be a lot more established players with products around that price point an i would guess Garmin may even have one or 2 more iterations of their current design by them. Good luck to Limits but this will not be easy but i like to see disrupters shaking things up. All this competition is good for the consumer. As a professional investor in technology companies, I am similarly very sceptical on timelines, sadly. Primarily because (a) many others have tried and failed to deliver robust product to market this fast – which is Ray’s point, plus (b) the team’s bios don’t mention directly relevant experience of bringing to market low-power consumer electronics devices designed for use in hazardous outdoor environments. I suspect (a) happens because of (b) – they don’t know what they don’t know. I’ll be delighted to be proved wrong. Love the *brief* post! The more product the better! I think them providing some data might potentially help their funding campaign! I wonder how they can even make the idea work. The housing needs to be fairly strong to transfer the pedal force to the crank without breaking off. They say it is made of cromoly because of this. However, the pictures show it as a continuous piece of metal. How does the Ant+ signal get out? Where is the antenna? The metal case is a great rf shield so the antenna can’t be inside the case. There would at least need to be some non-metallic windows in the case somewhere or an external antenna. Also, the case has no apparent battery door. Any opening large enough to get any standard battery through would require a fairly big cutout in the case which would compromise the strength. Judging by the pictures they haven’t even built a prototype in even close to working form. I’m with Ray on this- if it ever works it will be nowhere near their timeline. I also think that a relatively precision machined metal case will be more expensive by a lot compared to the cheap plastic pieces of Stages, 4iiii, etc. and will put a limit on how low their price can go and make any money. Oops! This was intended to be a reply to Sebo 2000 below… now if only someone could invent me some smaller fingers for smart-phone typing…. Just to put this into perspective, everybody talks about development cost. Guys this is not a rocket or spaceship, it is not a plane or helicopter. It is very simple device with few string gauges, no complicated algoritms behind it. Any respectable engineer that finished some university\collage could create this device with easy. There are kids using Arduino platform creating similar devices for many other projects. To give you idea how many hours single hobbyist/amateur team of one, needs to create power meter in his free spare time without anybody behind him except passion: about 1500hours. I don’t think anyone says it’s launching to the moon. But it’s also not easy to make a power meter product. Since you quoted Keith – I think that’s a funny example. I’m sure you know that Keith is now leading up the power meter development at 4iiii’s for Precision. And I can almost guarantee you that he’d say that it’s ‘easy’ to create a one-off power meter that works for one person semi-repeatably. It’s an entirely different ball-game to make one that’s accurate and works on thousands of peoples bikes with all sorts of wonky variations. And to wrap a company around it. And again – to make it a sellable product. Garage fun is one thing, but being on the marketing with something reputable and reliable isn’t easy. It’s been way harder than I expected. While I was keen to keep up the blog it’s riddled with old estimates of time that would make me cringe. 1500 Hours got me that far, I’m over 4000 more hours into it personally — probably closer to 6000 (It scares me when I math it out). The total man hours of the hardware and firmware team is somewhere in the tens of thousands of hours. I can’t even broach an estimate for marketing folks involvement, probably similar (once I lump in support) and the shear dollar amount on hardware. It’s a different league. So Ray’s right. 1500 hours got me a one off that proved a concept and cost me thousands of dollars. Two to three years has been the average estimates and I’d attest to that from what I’ve seen in industry and I certainly believe it. A working concept prototype, test units, and full on production all very different. ^^ This. Thanks for posting Keith; it’s good to see someone spelling out the reality of product development. Unless you’re a professional engineer (like Keith), you probably don’t realise the scale of resources it takes to commercialise a good idea into a bona fide product. A power meter is ‘just some strain gauges’ and a simple algorithm. Sure, but my Garmin 310XT is ‘just a GPS chip and a battery’, but I happily paid £300 for it a few years back because it has worked and worked on my wrist, strapped to my bike stem, stashed in my swim cap and subjected to cold, heat, rain, salt water, chlorine, sweat, blood (occasionally) for literally thousands of hours of activities with almost no screw-ups. I feel I got my money’s worth (and then some – it still works just great 4 years later). And well done to Ray for spelling it out too, time and again. Yeah, it’s only $250….. then an additional $200-$300 for the bike fit after you develop knee pains. They claim 15-20mm of added Q. My question is, is that for ONE side or after you’ve added the dummy spacer? from the pictures, it would appear to be one side. This would mean and added 30-40mm (!) of added Q? As noted above, this would hurt most peoples performance, which defeats some of the reason of having a power meter. General comment about indigogo/kickstater campaigns: you have to back a product assuming it’ll never be delivered. I know it’s not a comforting notion to fork hundreds of dollars on a product you *might* never see, but it’s a reality. A more likely reality is severely delayed shipments. Many of the crowfunding campaigns are good ideas with truly poor execution. The reason execution has been historically bad (at least for the things I’ve backed) is because the people behind it might have a clue or two about what they are making, but they just don’t have enough of a grasp about logistics, materials, manufacturing, testing, etc. When you see an idealized timeline like the one shown above, to me those are red flags. Some corner (and may be an important one) will be cut to meet that schedule. It could be testing, material selection, manufacturing QA/QC and so forth. I would rather have project leads give a more realistic, relaxed schedule, if anything because it shows they are aware of the complexity involved in manufacturing/shipping/testing, at scale. This one just doesn’t seem to check any of those boxes. If I had to make a guess this one will be vaporware or an extremely late delivery. 2 problem will prevent this from taking off. 1) Q factor is a killer for most serious riders. A power meter should not fundamentally change your bike fit… period! Sorry. Even as a very entry level unit. 2) In 2-3 years when there are finally production units, all the big players will be on their next evolution of power meters and I think you’ll see plenty of single leg units around $250-300 and 2 leg power for $400-600. The next race will be for features and accuracy to justify a higher price. For example placing all the electronics in a on-board wired computer, and eliminating data transmission as a potential error and allowing higher speed recording in 0.1s or 0.05s increments and displaying the torque profile of a rider, not just balance and power. Does anyone have their 4iiii unit yet? You remember, the one that was going to be out by October/November/December and so on. Why even concern yourself with something that is like 2 years out at best? 4iiii Precision started shipping about 3-4 weeks ago now. 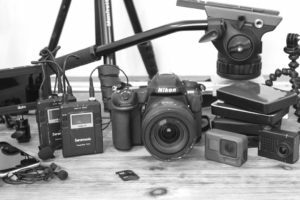 A number of readers, as well as myself, have production units. It is an aggressive timeline but it seems a simpler product than Brim Brothers. Remember your article last year where you stated: “Brim Brothers is much closer to production availability than 4iiii is (despite the data I saw today).”? 4iii is now shipping. While everyone appears to underestimate timelines, perhaps a simple product like this one which deals worth fewer directional forces and movement could keep close to such a tight timeline. Good luck to them, but I think that by the time it gets to market, the market will have moved! Also the Q factor issue is ENORMOUS! Whilst not claiming to be a fitter as I don’t practice ( but I am a qualified Body Geometry fitter) 3mm change in pedal axle length is the equivalent of shifting continents for most riders, just cant see how their current design can change this. Perhaps they could integrate with another boat anchor, Crank Tip pedals! Ray, excellent point. Even if there is only a 6-month slip from their launch timeline, it makes me wonder whether they may end up pricing themselves out of the market at that point, especially given that I think it’s unlikely that the established players will allow upstarts like them to grab market share by robbing them of the broader market opportunities. Even assuming they get themselves sorted in a relatively short period of time, the Q-factor question looms large for me. It is obvious that they consider this their Achilles’ heal because they give the longest, most rambling answer to that particular question in their FAQs without actually answering the question. I try to be open minded, but his is by far the dumbest concept I have ever seen for a power meter. The Q-Factor increase is dramatic and will hurt the performance of many (not all) cyclist and would possibly lead to joint problems in adapting to the change. Ray, How would you respond to this answer in the FAQs? How does LIMITS affect the Q-Factor? LIMITS has been used by a number of the Spokes Racing Team and Club Members generating positive feedback with many of the cyclists reporting an improvement in foot position leading to an improvement in comfort, especially over longer rides. Analysis of this feedback highlighted that many cyclists knees track outward at the top of the pedal stroke adding unwanted stress on the knee and splaying the power outwards on an inefficient vector relative to the pedal travel. This outward tracking is typically addressed by adjusting cleat position or/and adding spacers between the cleat and shoe to intentionally narrow the knees all the way through the pedal stroke but this over recruits the stabilizers to track the knee on a unnatural plane, good pedal action involves as straight a vertical tracking of the knees as the riders physiology permits. 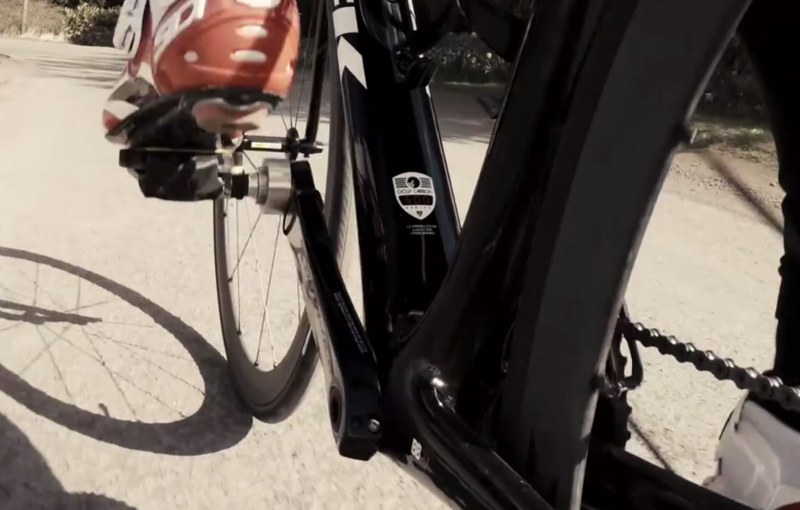 LIMITS allows the cyclist to ride with a stance width that is comfortable and so allows the knee to track on the most vertically linear path as possible, it stands to reason that this action will put power directly down through the pedal. Is there a reason that I’m missing why you can’t eliminate the Q-factor increase by adjusting the cleat positioning on your shoes? 3. Get a crank that has crank arms closer together. (tough to do given drice side component clearances needed. As for now I will pass on this product. I have never had the ability to move my cleats laterally, nor would I want to. oddly enough, it’s possible that this could be the result of your Q factor/stance being too wide already. when its too wide, your knees and toes will point outward to compensate,causing your heel to rub your crank…. or maybe you just have some crazy wide shoes. idk. Most cleats have some lateral adjustment, but it’s usually only a few mm in either direction at best (Speedplay being one exception, but even there you only get about 8mm total). From the photo, this thing looks like it adds 10-15mm. For some with really tight or wide hips, this won’t be a problem (maybe even an improvement), but I think for the majority of the population this will give them grief at some point. I run with the kids! I think one thing that seems to have been overlooked is the fact that many (probably the majority of) pedals today use an allen key on the end of the spindle for installation instead of flats on the spindle. This basically makes removal of the pedal from the PM impossible without the creative use of vise grips or the like. Only some pedals have both hex holes and wrench flats. My Look Keos have only hex holes and no flats to use a pedal wrench. In other news though, this new design of a power meter will give you a way to simultaneously mount yet another power meter for a mass comparison when they do finally come out Ray! Anyone who has ridden a fat bike for more than a few hours at a time can attest to how much q-factor makes a difference. When I see a new product I want to say to myself “why didn’t someone think of that before”.. With this product I just find myself saying ” I CAN see why people didnt think of this before”.. I really do want to see a cheap powermeter on the market as in sub $300 but this really is not it. I can’t see how they can ask consumers that are already skeptical about the smallest of changes to setup to drastically change a fundamental part of the bodies contact point. This product is causing a bit of a stir in the cycle world I just hope a company can see the buzz that a cheaper product can cause and jump on the band wagon and release a competitive product that I believe could work for the masses be it Garmin, Shimano or other.. I think what Limits is trying to do is great but I would be shocked and stunned if it was successful..
Hi all, the writer is actually wrong, I have look classic 2 pedals which don’t use a wrench but a hex key to tighten. I contacted limits and they said that they do support look classic 2 pedals meaning that pedals without support for wrenches will work! Great news eh? This writer? What writer? I don’t think I mentioned anything in the post itself about pedals. @jeff the crank material is not relevant. It was only relevant because carbon stress / strain is inconsistently (between cranks) non-linear so if you attempt to put strain gauges on the crank it’s hard to calibrate. @dcr, Did limits explain how the turn a bending moment into a force measurement with only one set of strain gauges? As I understand it, vector pedals have 2 sets of strain gauges so that the electronics can back solve from 2 bending moments at known distances along the pedal spindle to get a force and distance of application. With 1 set it’s guesswork. Disappointed to read the update. It feels like the whole thing is a marketing sham. Sorry, it wasn’t something we covered! 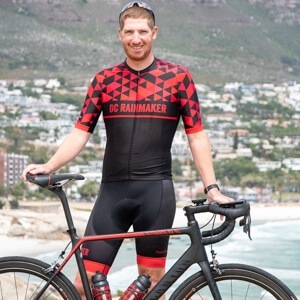 Two concerns – their website seems to imply people have been using the product which they admitted to Ray wasn’t true, and in the team bios none of them seem to actually have a background in anything that might given he the skills and experience to actually develop and build a power meter. Oh and to echo another comment – where does the battery go? Somewhere in one of their videos/pics I saw the mockup where the battery goes into the pod. The SR44 batteries are pretty small, much less width than the CR2032’s, but a bit taller instead. Often these batteries have compartments that you use a tiny hex wrench to open instead. If you were intending to buy a Power Meter in the near future, what would you plump for? Budget being $1000 or less. Sub-$1K, I’d focus on: Quarq, Power2Max, PowerTap variants. All of which capture the full power. I just hope your Mom isn’t a qualified bike mechanic ..!! Regardless of this particular company’s effort – the placement between pedal and crank – if it would work – really does provide perfect interchangeability. Road, Trail, Tandem – the same unit covers them all like no other solution could. If cranks were made with a larger hole so that a unit could could fit inside the crank, the q-factor issue would be solved. It would be a chicken and egg problem in terms of creating a large enough demand – and patent issues could kill that. Comment re: R&D spend/Sales revenue vs Ad Spend/Sales revenue by Garmin. That concerns me way more than what Limits is doing. It’s a paltry % of revenue spend for any technology company that wants to survive. Ok, 6.8 % of a big # is likely a larger pile of $$ than other companies with higher R&D spend ratios, but come on, Garmin – you’re the leader in many categories. Now’s the time to have your foot on the throats of all your competitors, not complacency!!! I just read this update about the progress of LIMITS Team. The power meter shown in the video is in fact just a pedal adapter screw? This incredible. It’s almost like a scam. I wonder how many people have seen the latest update posted by DC Rainmaker. Yeah, kinda sad. It’s all basically just fake. By “fake” do you mean intentional fraud, i.e., intention only to take peoples money and give them nothing in return, or do you mean something else? To me, “scam” and “fake” mean intention to do the worst. From your conversation with them I do not see sufficient evidence to conclude intention of fraud. I thought your assessment of “unrealistic schedule” was perfectly adequate to describe the situation. Personally, I hope they can follow up their idea – whether or not it might ultimately work. Well, it’s fake in that they make it appear real – and it’s very much not. They don’t have any electronic components working in what they otherwise emulate as having working. They’ve never stuck electronics in that pod. They’ve never stuck a pod with electronics on a bike. They’ve never had a team ride with the pod, or gather any data from it – despite many references that imply they have. Over time (since writing), I’ve become slightly more and more annoyed at watching their communications deceiving people into thinking they have anything at all today. They don’t. They don’t even have the electronics on a bench sending out wattage information wirelessly. Your argument is completely correct. Hope they will pull a rabbit out of the hat and turn this thing around and override their mistake of premature (or whatever you want to call it) marketing. Wildeny – not JUST a pedal adapter screw – inside there is a dream. Ray, thanks for the great update and also thanks to all those with cogent comments. 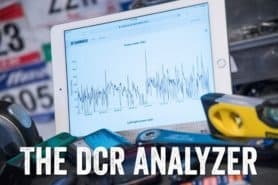 I’m a recreational cyclist, and wading through all the data on power meters is daunting. This product, along with the similar bePRO (Italian company) had my hopes up about finding a “simple” solution. I guess with power meters there just is no such thing at this point. To do that without anything resembling what one would call “a prototype” is very worrying. I wonder if said due diligence would be available under a FIO request. Hmm…interesting. I’m not terribly familiar with how that works in the UK (semi-aware of how it works in the US). bePro is in the market already though (as Stephen said above). Very similar? Anyone tried those? Perfect. Missed that one somehow. Looking forward to the review and any comments on the stance width compared with the Keo’s. Doesn’t look like much difference in the pictures. In my opinion, this product is impractical. It is now August, and it should be finished hardware, software and mechanical design; however, the process of development is obviously delay. Yup, I’d say impractical is being polite. So Ernesider, Limits is the Mouse and Ray the Ploughman …..or t’other wa roun? 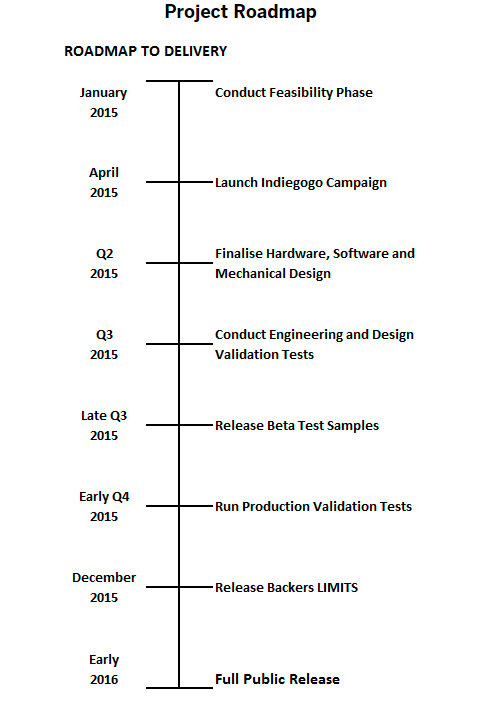 The recent updates seem to indicate the product is still on track for 2015 delivery. I sent them an email on Friday with a bunch of questions. I still don’t see anything that indicates they’ll ship this year. I thought it interesting that they recently openly advertised the unit with a specific reference to shipping before Christmas. Do you think that’s related to confidence or cash-flow? Personally, I’m with you – I have just ordered a Stages with the new housing unit. The Limits can go on my other bike when it finally arrives. I sent them some snippets of the various concerns that have been on your blog. While I wouldn’t take it personally, you’re just a Blogger (albeit, a really good one and I trust your advice, personally). Typically, companies in launch mode are looking to credible sources with real credentials (media: Bike, Cycling mags, Interbike, etc) as well as sponsored athletes that will share success stories; all with the goal of reaching the broadest possible audience. I mention this cuz if it were me, I’d be focusing my marketing energy in these areas first. And not to toot my own horn, but I can pretty much cause any given product in this space to live or die. As long as you make a good product and do what you promise to consumers (or have reasons why you can’t), it’s great and I’m happy. If you lie to consumers, or make a crappy product – then I’m going to call them out on it. And every other sports and non-sports media outlet will pretty much follow what I say in this space. We volley’d e-mails last night briefly, and am awaiting their next response. The contents of the blog page has been updated compared to several months ago. As of this month, they also have pictures of populated PCB’s link to limits.technology Of course now those PCBs now require a test-debug and possibly a redesign cycle. So on their updates they now have it transmitting power, cadence and temperature data via ANT+. Also today (October 7th) seems to be the last day you can back the project at the reduced price. Does this mean its nearing completion? Or will there be delays once they begin calibration etc.? I found it ‘interesting’ that they are transmitting temperature data via ANT+. I say this because no head unit out there receives temperature data as part of the power meter stream. Rather, only via the ANT+ Temperature Sensor data stream, which really only a handful of watches (Fenix1/2/3/Epix) actually can pickup. So it’s sorta odd that they’d note that. Kinda interesting if they include it, but it just seems a little weird to me. I asked for clarification via Twitter, but they didn’t response (as they never do). Yeah that does seem a little strange, presumably its there to provide temperature compensation like Stages, Quarq etc. do but surely that would just be internal feature in the actual power meter module. Just adds extra complexity. They are really poor at responding to queries too. The Wahoo Blue SC also transmits temperature. It’s not in the product info anywhere but it is in the API docs and the only app I know that displays it is Ride With GPS. I tried to get more info from Wahoo a few years ago and from what I gather the integrated bluetooth/cadence chips everyone uses come with temperature sensors built in but aren’t very accurate so no manufacturer chooses to advertise it. 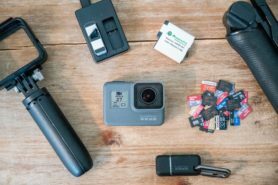 Not to do with Limits specifically, but since the very interesting topic of working prototypes has come up I post an article on the case of a project removed by Kickstarter after raising $4-million in three weeks due to “no working prototype”. really interesting powermeter , would fit all my needs and wishes. What a week it’s been! While our technical team continues to work intensely and move forward with LIMITS development, we thought it is worth sharing with you some news about ANT+ membership and what it means for LIMITS. Up until now LIMITS have been an ANT+ Adopter, but today we are excited to confirm that we have applied for ANT+ Membership! We know that many of you are eagerly waiting for more details in LIMITS development progress, so stay tuned and make sure you won’t miss our next update! My n=1 experience has been that having done a trial of about 4 or 5 diffrerent spindle lengths on a fit bike at my LBS, I prefer slightly longer spindles. You don’t know until you try! Anecdotal evidence from the shop suggests the more powerfully built riders prefer longer spindles (and the bigger the build the longer) and the slighter/smaller build standard or narrow. I happen to be built somewhere in the middle. I’ve used SpeedPlay pedals since 2011, with longer length spindles since July 2014. No knee issues as yet. I’m a recreational/sportive cyclist and occasional triathlete. That’s the same letter included above in my post (and the same one I showed they lied about their claims of having units on racing teams). my question is as I have not seen any reference to it , is if the unit is only on the left side isnt there an inbalance between left & right pedal distance? @Mike: Yes, Limits is one side only but is supplied with a blank to achieve an even stance width. See the faq on the limits site. Does “mitigate any potential risk” mean product safety testing and debug phase? Which will finish in March?